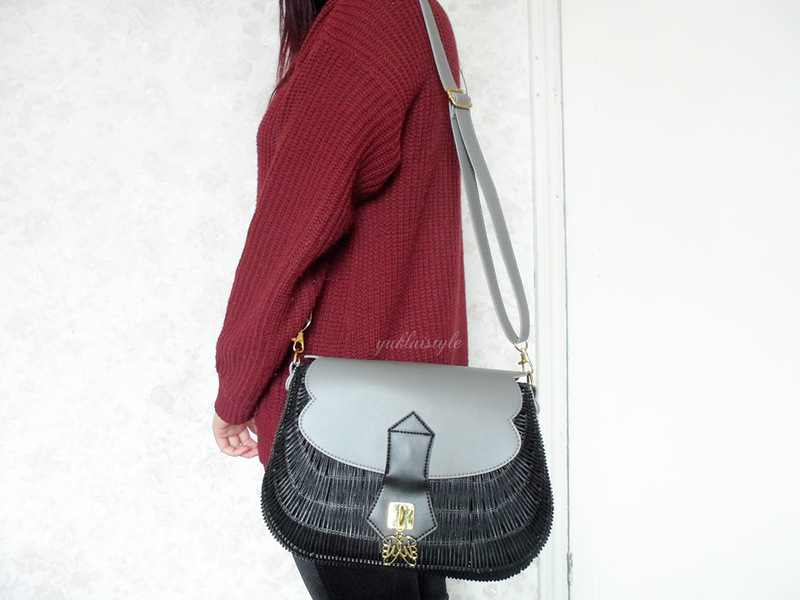 I’ve got an outfit post coming up at some point on how I styled this bag. But first, this is a Wicker Wings introduction post. I had the opportunity to meet up with James (one of the founders) for coffee to talk about his business and vision. Bless him for driving all the way from Liverpool. Wicker Wings is an exciting new business with a sustainable social mission. This mission is to help improve the quality of education in China and to inspire a child, thus creating the bag for bag mission. What exactly is this mission you speak of?! When you purchase a bag, you will also be donating a bag of inspiration containing a book and note with a meaningful quote (which you can write) to the children. You will also have donated money to their non profit partners, The Library Project, who will donating books and libraries to underprivileged primary schools. A unique business model isn’t it? Discussing the business with James was very interesting! I saw how passionate he was and this was inspiring. It’s always nice and refreshing to see how others are truly passionate for the right intentions and not just about the money. There is an actual meaning behind the business, a rare attribute nowadays. I also had learnt something new. He had also showed me photos of his business travels and the development of it, something I haven’t seen before. It’s intriguing to see what happens behind doors. 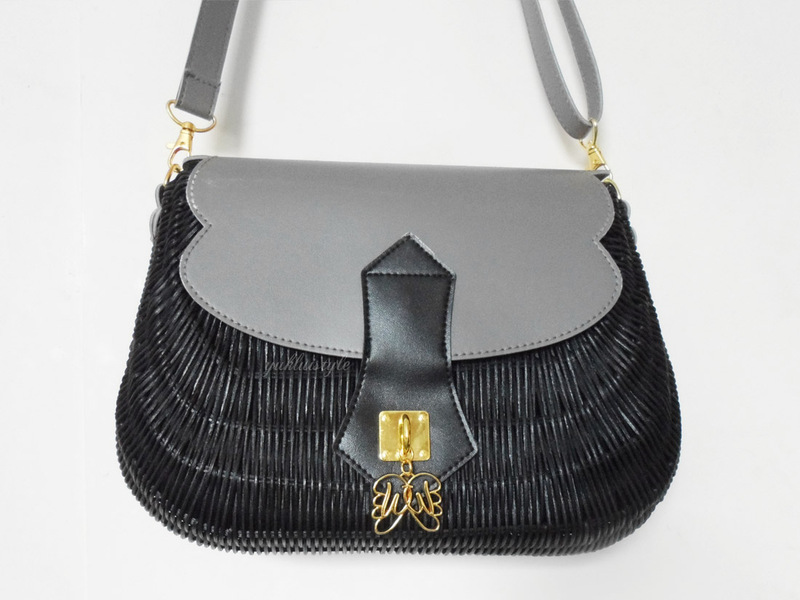 The bag I have is the Blake Grey*. Each bag is named after someone inspirational. There are currently two bags available to purchase but they are looking into releasing more colours as well as more designs in the future. The first impression I had for this bag was how sturdy it actually is! 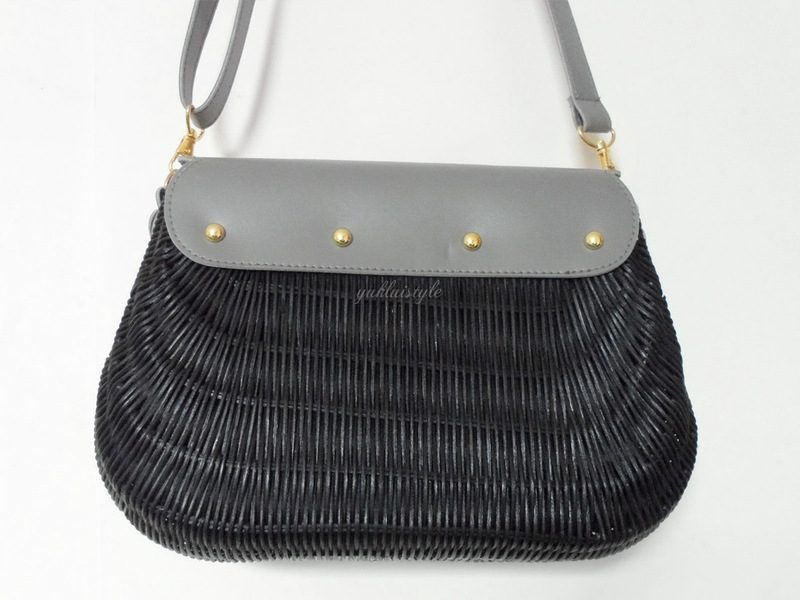 The body of the bag is made of high quality rattan, something unique and a first. The quote note I had given was “Beautiful things happen when you distance yourself from negativity.” This is something I live by and is close to my heart. I wanted to give a quote that was meaningful not only for the children but to myself as well. It makes it more special. I will be supporting this business as it is something I can genuinely relate to and is for a good cause regardless. Now I need to get the bag back off my sister. Do check out Wicker Wings: http://www.wickerwings.co.uk for more information and also The Library Project: http://www.library-project.org. This is such a unique bag, and what a great cause too. Beautiful bag, and cool social cause! Wow. I haven't met a lot of people doing work for passion and not only for the money. It's nice talking to people like that with a drive to help improve the quality of something substantial such as education. It's a beautiful and nice bag.. I wonder how much it cost.. This is such a cute bag and the concept behind it is incredible! Knowing that buying a bag would mean someone else less fortunate would receive one with inspirational goodies inside is just amazing. I love concept like this – great post! My wife is not much for bags based on the outside appearance. How does it look inside? Is it roomy with many compartments? Lovely bags for women and I think,the design's awesome. But the color must be vibrant. The bag is lovely and the mission behind it is incredible. I think this is a good deal. You get the bag you want and you still get to inspire and help those who needs it. Beautiful things made from the heart, for a great cause too. I think this is perfect, just the kind of business I'd love to support! Would they be shipping internationally anytime soon, i wander? a very lovely bag indeed, with a much lovelier cause behind it! Love the bag!! Looks boho and chic as well!! Perfect for the fall! Amazing choice, it's such a cutie. wow nicee bag and i really love when the bag is sturdy so it can last a lil longer..
That bag is beautiful! The fact that it's for such an Amazing cause makes it even more beautiful! Amazing concept ! i hope i'll be able to have one of these someday!